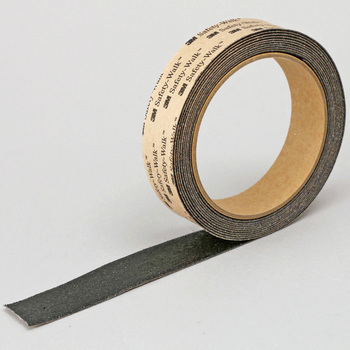 Slip-Resistant Tape Type C, "Safety Walk"
Slip-Resistant Tape N-002 for Outdoor, "Nonslip"
It is stored in the warehouse but it can be used without any problem even if it is stored for a long time. This review is about item#2340466. For the parking division of the parking lot, I pasted it from the top of the white line character. It is very easy to use a universal scissors to cut, and the adhesion is also sufficient. This review is about item#16446508. It is very helpful for work and machine maintenance. This review is about item#2340475. Exit the terrace from the sweep window. Used in the step portion. This review is about item#16446465. This review is about item#02340484. It has good adhesion, it is hard to slip and it is very easy to use. it's recommended. Adhesive power is strong and thin, and it does not feel unevenness, so the carrying vehicle can pass smoothly. This review is about item#2340432. It was easy to paste. After that I made ★ 3 because I do not know durability, because it is not cheap one. I am thankful that there is a product with a width of 40 mm. This time 50 mm products were cut and used. This review is about item#02340475. It was good. I used it because the passage of the wheelchair is a bit sloping. There was an effect. This review is about item#02340441.